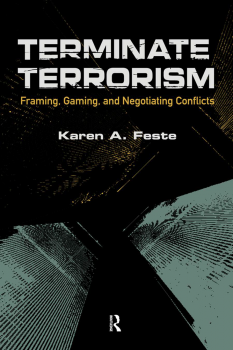 Karen Feste, Director of the Conflict Resolution Institute at the University of Denver Korbel School of International Studies, has just reissued her book “Terminate Terrorism — Framing, Gaming, and Negotiating Conflicts,” at a time when we really need to improve our skill set for dealing with terrorism and with significant inter group conflicts in several areas of the world. Medical science has long known that stress for mothers increases the incidence of premature birth. The issue that we need to understand is whether that is a key issue relative to our communities today. 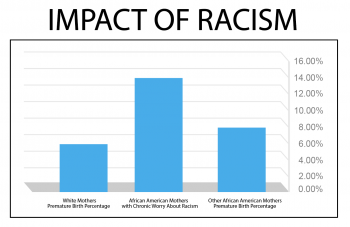 Danyelle Solomon, in her attached article, makes the point very logically and very persuasively that racism in our country is a key generator of stress, and that issue of racism-triggered stress needs to be understood in order for us to figure out how to deal with premature birth problems. Our basic packages of tribal instincts are causing problems in more than two hundred settings in the world today. We see conflicts between groups in all of those settings that draw on the basic thought processes, values, emotions and inter group behaviors that those instincts create. Only instincts can create patterns that exist across cultures and back into history. Anytime we see a pattern of behavior that shows up in multiple settings and over extended periods of time, we know that there are instincts that function as the connection factor creating those behaviors.